10:00pm - 12:00pm Social and Family Feud Game presented by Encore Events (Ramkota Courtyard) Light Hors d'oeuvres, refreshments. Family Feud teams of 5 needed - contact ICBND for more information! Sam Silverstein’s mission is to empower people to live accountable lives, transform the way they do business, and to thrive at extraordinary levels. By challenging leaders to shift priorities, cultivate an organizational culture, and inspire both individuals and teams to take ownership in fresh and results-producing ways – he is helping companies, including financial institutions, to dramatically increase productivity, profitability and growth. Global Gurus recently announced Sam Silverstein as one of the World’s Top 30 Organizational Culture Professionals. As a former executive and business owner, his manufacturing and distribution companies sold over $100 million in products and services. Today, he writes, speaks, and consults with organizations around the globe to think differently, work with renewed purpose, and achieve record-breaking results. He is the founder of The Accountability Movement™, which is focused on building powerful communities filled with people and organizations that know their values, live their values and keep their commitments. Dan Meers has been KC Wolf, the mascot of the Kansas City Chiefs, for more than 25 years. In 2006 he was selected as the first NFL mascot inducted into the Mascot Hall of Fame. Dan travels throughout the United States and the world entertaining thousands of people both in and out of costume. He has performed in over 30 states and six different countries. He is in high demand not only as a mascot but also as a humorous and motivational speaker to audiences of all ages. His enthusiasm, optimism and love for life are contagious and make Dan an inspiration to all those he meets. Be it young or old, executive or blue collar, his audiences walk away with a smile and a renewed spirit to live life to the fullest. Whether you’re a Kansas City Chiefs fan or not, you’ll enjoy Dan Meers as he shares his unique wit and wisdom about life. Known as “The Millennial Speaker”, Clint Pulver helps organizations that want to retain, engage and inspire the younger generation. As the President and founder of The Center for Employee Retention, Clint has transformed how corporations like Keller Williams, AT&T, and Hewlett Packard create lasting loyalty through his work and research as “The Undercover Speaker.” He has appeared on America’s Got Talent and in several different Feature films with actors like Jack Black (School of Rock) and John Heder (Napoleon Dynamite). Clint was named one of Business Q Magazine’s “Top 40 Under 40” for his work in helping organizations elevate their “WHY: of mentorship in the workplace and how connected and engaged employees yield loyal and long-term retention within organizations. For over a decade, Clint has dedicated his heart to helping organizations understand the younger generation and helping the younger generation to understand themselves. With a blend of humor, unforgettable stories, and actionable takeaways that stick, Clint convinces audiences on the power of The mentorship Effect, and why some leaders create lasting loyalty and others don’t. John Manzella is an author, speaker and founder of both the ManzellaReport.com, a premier source for global business and economic analysis, and Manzella Trade Communications, Inc., a public affairs, publishing and consulting firm with a focus on global business and today's leading economic issues. He has written hundreds of articles and several books, including Global America: Understanding Global and Economic Trends and How To Ensure Competitiveness, Grasping Globalization: It's Impact and Your Corporate Response, and Mexico & NAFTA: The Real Impact. His op-eds have been nationally syndicated and his views have appeared in The Wall Street Journal, New York Times, Bloomberg, NPR, Xinhua (China), La Jornada (Mexico) and Lianhe Zaobao (Singapore). Additionally, he is a contributing writer for American City Business Journals. John also is Chief Strategy Officer of Ignition Life Solutions, a global enterprise risk management consulting firm, chair of the Upstate New York District Export Council, a position appointed by the U.S. Secretary of Commerce, Northeast Regional Legislative Coordinator for the National Association of District Export Councils, and former President and CEO of World Trade Center BN. Jim Reber was elected as President and CEO of ICBA Securities effective April 1, 2005. From 1990 through 2005 he worked as a Senior Vice President and registered representative for ICBA Securities. He is a frequent speaker at bank conventions, seminars and conferences. Jim also writes a monthly investment column for Independent Banker magazine. He is a Certified Public Accountant and a Chartered Financial Analyst. He is on the Board of Regents of the Paul W. Barret School of Banking and is on the Executive Committee. Jim holds a BS degree in Accounting from Christian Brothers University in Memphis, Tennessee, where he serves on the Board of Trustees. 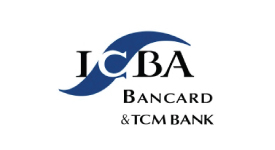 Timothy K. Zimmerman is immediate past chairman of the Independent Community Bankers of America® (ICBA). He is also CEO of Standard Bank in Monroeville, PA. Zimmerman has been a community banker for more than 35 years. He is also past chairman of the Federal Delegate Board and serves on the board of the ICBA Services Network and ICBA Securities. Zimmerman served as secretary on the Executive Committee from 2013-15. He also was chairman of the Mutual Bank Council and served on the Consumer Financial Services and Bank Education committees. From September 2012 to September 2015, Zimmerman served on the Consumer Financial Protection Bureau’s Community Bank Advisory Council, serving as vice chairman and chairman during his term. He has testified before the House Financial Services Subcommittee on Oversight and Investigations. On the local level, Zimmerman has been a member of the Pennsylvania Association of Community Bankers for more than 20 years and regularly served on the board of directors. He is a board member and vice president of the Pittsburgh Civic Light Opera and chairman of its Audit and Budget and Finance committees. He also serves as coordinator for his bank’s Make-A-Wish Foundation annual campaign. Zimmerman holds a Bachelor of Science degree from Indiana University of Pennsylvania and did graduate work at the University of Pittsburgh. He is a Certified Public Accountant in Pennsylvania and member of the American Institute of Certified Public Accountants and the Pennsylvania Institute of Certified Public Accountants. Business Keynote Speaker Sam Silverstein shares ground-breaking insights and tools that allow leaders to strategically create a culture that prioritizes and inspires accountability. He teaches them how to cultivate and develop leadership with every member of their team, how to communicate with purpose, motivate with mission, and empower every tier of their team to embrace change and use it to drive productivity and engagement. With humor and heart, Sam brings audiences together to best understand what a powerful catalyst change can be for positively growing business, redefining relationships, and letting go of the status quo. Leaders who meet change head on and make it their partner, drive momentum and deliver results. On November 23, 2013, Dan Meers came within inches of losing his life while practicing a bungee jump and zip line stunt at Arrowhead Stadium… home of the Kansas City Chiefs. What Dan anticipated being the thrill of a lifetime ended up being the spill of a lifetime. The stunt went terribly wrong and Dan plummeted 75 feet before crashing into the stadium seats. Miraculously Dan survived. He spent 9 days in the hospital and got some really big scars. Dan smiles when he says, “Scars are just Tattoos that come with a Cool Story”. During this powerful presentation Dan shares his incredible story and the important lessons that God taught him during his long road to recovery. Now more than ever, employees are looking for leadership that supports, encourages, and gives them the tools they need to create an environment that allows them to grow and make an impact. In this unforgettable customized presentation that is designed to inspire management and corporate leadership, Clint demonstrates the “WHY” of mentorship in the workplace, and that every employee is just one success story away from a caring somebody. Clint offers an engaging and fresh insight supporting the corporate leader while giving them solid insights on how to inspire themselves and the people they lead. Clint delivers an actionable narrative of how one teacher by the name of Mr. Jensen changed his life with a small and simple gift that brought about lasting change and purpose. This presentation reaffirms, validates, and inspires today’s CEO’s and Management Teams that a simple belief in others can make all the difference. Economic trends, critical issues, and policy positions advanced by President Trump are impacting corporate competitiveness and the U.S. and world economy. Combined with greater levels of volatility and trade complexities, these issues are shaping our future. What does this mean to the United States and your business? This invaluable program answers many questions, reveals global dangers, and provides analysis to help the audience better understand what’s ahead and reduce risk. Liquidity is a key concern among financial institutions and regulators. Loan growth is outpacing deposit growth while non-core funding is becoming a larger percentage of total assets. Competition for deposits is fierce as the largest banks search for high-quality, LCR-compliant retail deposits and the increase in short-term rates has spurred growth at the online banks offering more attractive yields. During this session, we will discuss “best practices” for liquidity risk management, regulatory expectations, and contingency funding strategies to help community banks supplement core deposit growth. All exhibitors are welcome to join us at this event. Dakota Ballroom - Remember to decorate your booth in the Superhero theme and come in costume for your chance to win a FREE booth in 2020! Exhibitor tear down must be completed by 10:30 p.m. on Monday, August 12th. and $670 deposit is required per 16’ x 20’ booth. Deposit is non-refundable and non-transferable and must be paid with application. Payment in full must be made by August 1, 2019. What’s included in the booth price? Additional attendees in your booth for only $100 regular rate and $125 last minute rate after July 1st. This allows them to attend the Sunday Welcoming Reception and Monday Exhibitor Theme Party ONLY. This includes food and beverages during these two events. If they would like to attend additional events they must register as a full attendee or for the days events. Monday night Theme Party—dress yourself and your booth up in the theme for a chance to win a free booth in 2020. "Superhero" attire with themed items, games and props. 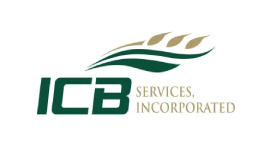 ICBND would like to thank you for your consideration and support. Help us recognize the dedication of men and women who have given so much of their lives to the integrity of independent banking by nominating them for the "ICBND Hall of Fame Award". We honor those individuals who have reached a 'milestone' year - 20,30,40,50 and above during this calendar year of 2019. No award is given for the years in between unless they are retiring and have over 20 years of service.